The songs of American pianist, composer and music producer Burt Bacharach (b. 12 May 1928), who has spent five brilliant decades in the music business, are among the most popular and most stylistically distinctive of the later half of the twentieth century. His collaborations with lyricist Hal David and performer Dionne Warwick resulted in unmatched and indelible success in the 1960s and ’70s, and led to later close associations with Dusty Springfield, Bobbie Gentry, and others. By 2006, Bacharach’s tally of hit tunes – “hits” being calculated according to their appearance on Top 40 lists – amounted to 70 in the United States and 52 in the United Kingdom. Although by the late 1970s Bacharach’s music was so popular and so ubiquitous that it was often labeled “elevator music,” his style is refined, sophisticated, and quite unconventional in comparison with that of his contemporaries in the field. The melodies are crafted and memorable, the harmonies unique, the phrasing and underlying meters often surprisingly irregular. Drawing elements from jazz, rock, and the popular music of Brazil, the Bacharach sound is unmistakable. 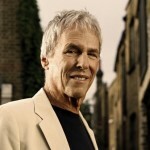 Burt Bacharach was born the son of nationally syndicated columnist Bert Bacharach in Kansas City, Missouri. The family moved to Kew Gardens in Queens, New York, when he was four. As a child he studied the cello, the drums, and at his mother’s insistence, the piano, which he hated. That is, until he discovered jazz as a teenager. Occasionally he would use a fake ID to get into nightclubs to hear Dizzy Gillespie or Charlie Parker. When he was fifteen, Bacharach formed a ten-piece dance band with classmates at Forest Hills High School, gaining experience, exposure, and a little money. After graduation, he enrolled as a music major at McGill University in Montreal and wrote his first song, “The Night Plane to Heaven.” Back in New York, he studied with Bohuslav Martinů and “ultra-modernist” Henry Cowell at the Mannes School of Music, and took theory and composition at the Berkshire Music Center during the summer. In California at the Music Academy of the West, his mentors included Darius Milhaud. Bacharach served in the Army from 1950 to 1952, playing piano at the officer’s club on Governors Island, in concerts at Fort Dix, and in a dance band in Germany, where he met singer Vic Damone. After his discharge, he continued to work with Damone, and branched out to accompany the Ames Brothers, Imogene Coca, Polly Bergen, Joel Grey, Georgia Gibbs, Steve Lawrence, and Paula Stewart. (The last in this list became his first wife; they were divorced in 1958.) He was Marlene Dietrich’s arranger and accompanist on her European tours from 1958 to 1961. Bacharach met lyricist Hal David in 1957 while both were working in the song factory that was the Brill Building in New York. Their collaboration had instantaneous success, with back-to-back hits in “The Story of My Life,” recorded by Marty Robbins for Columbia, and, “Magic Moments” recorded by Perry Como for RCA. The next year their “Make Room for the Joy” was featured in Columbia’s film musical Jukebox Rhythm, sung by Jack Jones. Meanwhile Bacharach scored a novelty instrumental hit with “The Theme from The Blob.” Three more big hits by Bacharach were recorded in 1961: “Please Stay” by the Drifters, “Tower of Strength” by Gene McDaniel (with lyrics by Bob Hilliard), and “Baby It’s You” by the Shirelles (lyrics by Hal’s brother Mack David and Barney Williams). Successes of 1962 were “Any Day Now” (Chuck Jackson), “The Man Who Shot Liberty Valance” (Gene Pitney), “Only Love Can Break a Heart” (Pitney again), and “Make It Easy on Yourself” (Jerry Butler). In 1961, while Bacharach was working as an arranger with the Drifters he met Dionne Warwick, then a member of a backup vocal trio known as the Gospelaires (the other two members of the group were Dionne’s sister Dee Dee Warwick and their aunt, Cissy Houston, who two years later would give birth to Whitney Houston). Dionne soon demonstrated remarkable musicianship and a knack for making even the most difficult of Bacharach’s compositions sound graceful and easy – she had been an organ major at the Hartt School of Music. She started with Bacharach and David by recording demonstration samples of their songs. One of them was “Make It Easy on Yourself,” which Warwick mistakenly believed was to be her commercial debut as a soloist. But when the songwriters told her the song had been given to Jerry Butler, she burst out angrily in slang, “Don’t make me over, man!” This phrase was the seed of her first Top 40 hit, “Don’t Make Me Over,” in 1962. Over the next ten years, Bacharach and David produced twenty Top 40 hits for Warwick, seven of which made it to the Top Ten: “Anyone Who Had a Heart” (1963), “Walk On By” (1964), “Message to Michael” (1966), “I Say a Little Prayer” (1967), “Do You Know the Way to San Jose” (1968), “This Girl’s in Love with You” (1969) and “I’ll Never Fall in Love Again” (1969). In 1966 Bacharach married movie star Angie Dickinson, and although he had contributed the hit title theme to The Blob in 1958, and songs to Forever My Love in 1962, What’s New Pussycat in 1965, and Alfie in 1966 (the latter two were nominated for Oscars®), he soon found himself composing and conducting entire scores for film. Casino Royale (1967) brought Bacharach and David another nomination for the song “The Look of Love” (which was a hit in two separate recorded versions, by Dusty Springfield and by Dionne Warwick), and Butch Cassidy and the Sundance Kid (1969) finally won them an Academy Award® outright for “Raindrops Keep Falling on My Head.” The full score earned Bacharach another Oscar® and a Grammy for Best Score. Other popular performers of Bacharach/David songs in the ’60s and ’70s included Cilla Black (“Anyone Who Had A Heart,” “Alfie”), The Carpenters (“Close to You”), Isaac Hayes (“Walk On By”), B.J. Thomas (“Raindrops Keep Falling on my Head”), Tom Jones (“What’s New, Pussycat”), Engelbert Humperdinck (“I’m A Better Man”), Jack Jones (“Wives and Lovers”), Jackie DeShannon (“What the World Needs Now is Love”), Manfred Mann (“My Little Red Book”), Sergio Mendes & Brasil 66 (“The Look of Love”), Herb Alpert (“This Guy’s in Love with You”), Bobby Vinton (“Blue on Blue”), The Fifth Dimension (“One Less Bell To Answer”), The Walker Brothers (“Make It Easy on Yourself”), Jerry Butler, Luther Vandross, Aretha Franklin, and the Beatles. In 1968, producer David Merrick persuaded Bacharach and David to collaborate with playwright Neil Simon on a musical version of The Apartment, the 1960 quintuple-Oscar®-winning film by Billy Wilder and I.A.L. Diamond. The result was Promises, Promises, which ran for three years on Broadway, spawned several hit songs, earned a Tony® nomination, and won a Grammy for Best Cast Recording. The songwriting team, however, did not return to Broadway until a revue of their songs, The Look of Love, had a 49-performance run in 2003 (in fact neither of them had any personal involvement with the show). They have returned again with the revival of Promises, Promises in April 2010. In 1973, Bacharach and David undertook a highly anticipated musical film version of the 1937 film Lost Horizon, produced by Ross Hunter. It was a disaster. Not one of the songs became a significant hit – indeed, some were roundly mocked. It starred Liv Ullman, Peter Finch, and a long list of actors with big names, none of whom could sing except for Bobby Van, and all of whose songs were dubbed without much success in the lip-synching department. Demoralized, Bacharach and David refused to work with each other; as a result Dionne Warwick felt so abandoned she sued the songwriting team, and like falling dominoes, David sued Bacharach and Bacharach countersued David. Through the rest of the ’70s Bacharach worked alone on several projects, and with David again briefly in 1975, but, lacking Warwick, his songs failed to reach the charts. Bacharach produced several instrumental albums of his hits during this period, beginning with Burt Bacharach Plays His Hits (1966). Long-playing collections followed in 1967, 1969, 1971, 1973, and 1977, and in 1979, he produced and conducted an ambitious studio recording with the Houston Philharmonic Orchestra, called Woman. He and Angie Dickinson divorced in 1980, and Bacharach began a new partnership – both professional and personal – with lyricist Carole Bayer Sager. Together they wrote many hits during the next decade, including “Arthur’s Theme (Best That You Can Do)” sung by Christopher Cross, from the films Arthur (1981, winning Bacharach his third Oscar® in 1982) and its sequel Arthur 2: On the Rocks (1988), starring Dudley Moore and Liza Minnelli, “Heartlight” sung by Neil Diamond, “Making Love” sung by Roberta Flack, and “On My Own” sung by Michael McDonald and Patti Labelle. Their biggest hit, “That’s What Friends Are For”, written for Ron Howard’s movie Night Shift (1982) but later dedicated to benefit AIDS research, marked the resumption of Bacharach’s collaborative relationship with Dionne Warwick in1985. The composer then slipped into a relatively dormant period (during which his marriage to Carole Bayer Sager was dissolved) until 1993, when he emerged with several new projects, most notably a reunion with Hal David and Dionne Warwick for the song “Sunny Weather Lover” on Warwick’s album Friends Can Be Lovers. Two new Bacharach songs also appeared on James Ingram’s album Always You, “This Is the Night” and “Sing for the Children.” Other songs were written that year for Earth, Wind and Fire and for Tevin Campbell. Bacharach’s comeback took off in 1995, when he began an ongoing collaboration with Elvis Costello. Connecting by telephone and fax across the Atlantic, they wrote “God Give Me Strength” for Allison Anders’s film Grace of My Heart, which was nominated for a Golden Satellite award. By 1998 there were eleven more Bacharach-Costello songs, which became the foundation of a mini-tour for the duo and were released on the album Painted From Memory. One of these, “I Still Have That Other Girl,” won a Grammy in 1999. In 1997, Bacharach made a notorious cameo appearance in Mike Myers’s film Austin Powers: International Man of Mystery, and has shown up in both of the film’s sequels. In 2000 David, Warwick, and Bacharach were reunited for two songs in the film Isn’t She Great, a film based on the life of trash novelist Jacqueline Susann (for which Bette Midler was nominated for the Razzie Award for Worst Actress). Bacharach composed the entire score as well. A concert in July of that year at the Royal Albert Hall featured the reunited trio as well as Costello, Petula Clark, and more. The recording was released in 2001. In 2003 DreamWorks Records released Here I Am, an album of thirteen Bacharach compositions sung by Ron Isley, newly arranged by the composer. Released in November 2005, At This Time was the first solo album to appear under Bacharach’s name in 26 years, with contributions from Elvis Costello, Chris Botti, Rufus Wainwright, and Dr. Dre. It won the Grammy for Best Pop Instrumental Album. Bacharach has appeared as a celebrity and guest vocal coach on “American Idol;” in the 2006 season an entire episode was dedicated to his music. He has been a guest conductor with many notable orchestras around the world: the BBC Concert Orchestra, the Sydney Symphony. the 59th Sanremo Music Festival in Italy, and the Liverpool Pops. Bacharach married Jane Hansen in 1993; they have two children. On the side, Bacharach has been an owner and breeder of thoroughbred horses for over 30 years, and his racers have competed in some of the sport’s most high-profile events. A three-year-old filly named for his hit Neil Diamond song, “Burt’s Heartlight No. One,” was a champion in 1983, and his thoroughbred Soul of the Matter was a Breeder’s Cup starter in 1994 and 1995.